The Public Health Advocacy Institute (“PHAI”) is pleased to announce that two tobacco lawsuits tried this month in St. Thomas, V.I., have concluded with verdicts totaling $113.3 million. 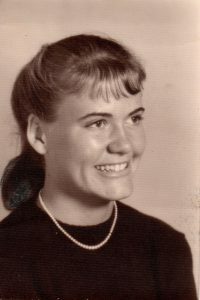 The cases, Gerald v. R.J. Reynolds Tobacco Co. and Brown v. R.J. Reynolds Tobacco Co., were brought by two deceased smokers who had been hooked on Newport cigarettes as minors. The cases were tried simultaneously, with both 6-person juries together hearing evidence common to both cases, and each separate jury hearing issues such as medical testimony that was specific to its case. These are the first tobacco cases to be brought in the U.S. Virgin Islands, the first tobacco cases tried together in this way, and among the largest verdicts achieved to date in individual tobacco litigation. Lucien England, the decedent in the Gerald case, began smoking Newport cigarettes as a child, when, as part of a nationwide marketing campaign, free samples of the cigarettes were hung from the doorknobs of the apartment building where he grew up. His death was caused by bladder cancer from smoking Newports. 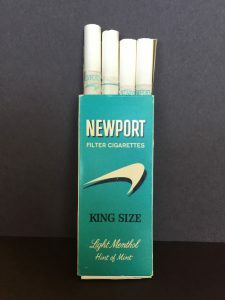 Patrice Brown, the decedent in the Brown case, began smoking Newport cigarettes as a teenager, influenced by an advertising campaign that promoted Newports as having a “hint of mint,” and died from lung cancer after smoking those menthol cigarettes for decades. PHAI is a public health research and advocacy non-profit located at Northeastern University School of Law in Boston. www.phaionline.org. The case was brought by St. Thomas attorney Russell Pate, and tried by attorneys Michael Weisman and Gordon Rhea, with the assistance of PHAI attorney Meredith Lever. Mr. Weisman is Of Counsel with PHAI. With the Brown case, Weisman reprised his 2010 success in the case of the late Marie Evans, in which a Boston jury awarded $71 million in compensatory damages and $81 million in punitive damages against the maker of Newport cigarettes for causing Evans’ premature death from lung cancer. 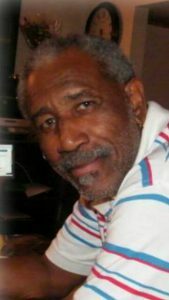 Ian A. McWilliams handled the audio-visual services for plaintiff’s exhibits in the Evans as well as the Virgin Island trials. Despite the scientifically established link between consuming sugar drinks and obesity, type 2 diabetes, and heart disease, the Coca-Cola Company and its trade association, the American Beverage Association, deceive consumers by denying and obscuring soda’s link to those diseases, according to a lawsuit filed today. Bringing the action filed today in the Superior Court of the District of Columbia are Reverend William H. Lamar IV, pastor of the historic Metropolitan African Methodist Episcopal Church in Washington, DC; Reverend Delman Coates, senior pastor of Mt. Ennon Baptist Church in Clinton, MD; and the Praxis Project, a nonprofit organization focused on building healthier communities. Praxis had brought, but soon withdrew, similar litigation against Coke and the ABA in California pending the addition of the new plaintiffs. The lawsuit quotes Coca-Cola executive Katie Bayne’s much-publicized statement that “[t]here is no scientific evidence that connects sugary beverages to obesity” as representative of the kind of deception that Coke and the ABA publicly engage in. Sugar-sweetened beverage consumption is linked scientifically not only to obesity but also to type 2 diabetes and heart disease. The Centers for Disease Control and Prevention, the federal government’s 2015 Dietary Guidelines for Americans, the American Heart Association, the American Medical Association, and numerous other prominent medical and health authorities all acknowledge such links. Coke also paid health professionals to promote sugar-sweetened beverages on the Internet, including one dietitian blogger who suggested that an eight-ounce soda could be a healthy snack, like “packs of almonds,” according to the complaint. The complaint also cites the widely reported secret funding by Coca-Cola—$120 million between 2010 and 2015—to scientists and projects that publicly advanced the proposition that “energy balance” is more important than reducing soda consumption. 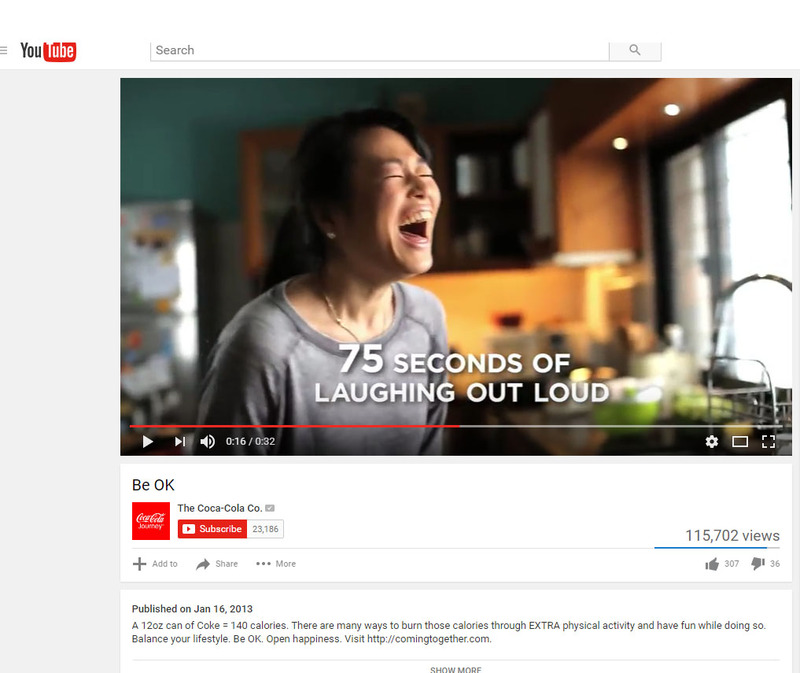 Meanwhile, advertising campaigns like “Be OK” misleadingly implied that light exercise, such as laughing out loud for 75 seconds, offsets the health effects of Coke consumption, or, in the words of the ABA-funded campaign known as “Mixify,” that some afternoon Frisbee earned players “more” soda. In Washington, DC, more residents die each year from complications related to obesity than from AIDS, cancer, and homicides combined, according to the city’s health department. The plaintiffs are represented by Maia Kats, litigation director of the nonprofit Center for Science in the Public Interest; Andrew Rainer and Mark Gottlieb of the Public Health Advocacy Institute; Daniel B. Edelman of the law firm Katz Marshall and Banks, LLP; and Michael R. Reese of the law firm Reese LLP. The suit seeks an injunction under the District of Columbia’s Consumer Protection Procedures Act, which protects District residents from improper trade practices. Such an injunction would stop Coke and the ABA from engaging in the unfair and deceptive marketing of sugar-sweetened drinks—including any direct or implied claim that the drinks do not promote obesity, type 2 diabetes, or cardiovascular disease. As I approached the Greater Richmond Convention Center on the partly cloudy morning of Thursday, May 18, 2017, thoughts of sub-freezing temperatures and snowstorms never entered my mind. But, before the morning gave way to the afternoon, I realized that I had just seen dozens of snowflakes. Manage diverse income streams and a strong balance sheet to deliver consistent financial performance (citing Altria’s ownership of over 10% of AB InBev and its Ste. Michelle Wine Estates ). “You and other executives of Altria Group have often referred to tobacco litigation as an issue that is ‘manageable’ and, therefore, should not be troubling to investors. On April 6th, the Florida Supreme Court in the R.J. Reynolds Tobacco Co. v. Marotta case ruled that federal law does not preempt Engle Progeny plaintiffs from bringing strict liability and negligence claims against tobacco companies. On April 12th in the Boatright v. Philip Morris USA, Inc. case, a Florida Appeals Court affirmed a jury award of $35 million against Philip Morris USA, Inc., and reversed the reduction of the award by the trial judge because the smoker was also at fault for his illnesses, ruling that Florida’s comparative fault law does not apply to intentional torts. This increases the company’s exposure to liability. On April 6th in the Sommers v. Philip Morris case, a Florida state jury awarded $1 million to the widow of a lawyer and real estate developer after finding Philip Morris responsible for his coronary artery diseases and fatal lung cancer. Reality Check’s Jonathan Chaffe asked about the growing number of localities across the country that have adopted Age 21 policies – making it illegal to sell or give cigarettes and other tobacco products to people under age 21. Mr. Barrington responded by saying that he prefers to minimum age to be 18 rather than 21. He also raised the potential problem of communities that have passed Age 21 laws being surrounded by other communities that hadn’t, thus encouraging young smokers to travel to a place where the minimum age is still 18. Finally, he opined that it would be better to have this issue dealt with by Congress, rather than by states or localities. In response to a question about how Altria plans to respond to the U.S. Department of Housing and Urban Development’s November 2016 policy for smoke-free public housing, Mr. Barrington said that Altria “hasn’t weighed in” on the issue but that, as a general rule, homeowners should decide whether to allow smoking in people’s homes. The resolution received a 2.6% YES vote. 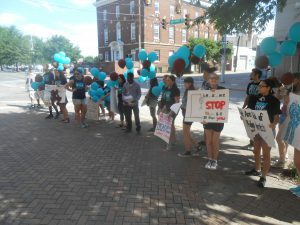 Before, during and after the meeting, at least thirty teenagers demonstrated outside the convention center, carrying teal and black balloons to emphasize how young people who begin using a deadly and addictive product become replacement smokers for Altria’s customers who die from smoking-caused diseases. The teenagers, who were accompanied be several adults, were representatives of Reality Check New York ) and No Limits Nebraska. After the 50-minute meeting had ended, I emerged from the meeting room to learn that the approximately 85 attendees were blocked from exiting from the same doors through which they had entered an hour or so earlier. Instead, everyone had to walk down a long corridor – about the length of a city block – to get to the exit which led to the parking garage. Why did Altria management take this action, which had never been done before in my experience of having attended annual shareholder meetings for more than 20 years? 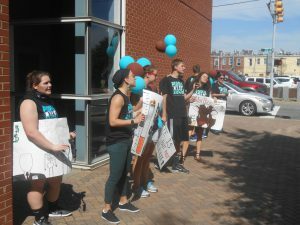 If it hadn’t done so, shareholders would have seen dozens of teenagers wearing T-shirts with the message “People Over Profit.” They would have seen the balloons that represent both tobacco’s death toll and replacement toll. They would have heard the chants that describe the lies used by tobacco companies to help maximize profit levels at the expense of the health and the lives of the public. In May 2016, the Urban Dictionary defined “snowflake” as “an overly sensitive person, incapable of dealing with any opinions that differ from their own.” The key message of this year’s Altria Group shareholders meeting was not that 2016 was an “outstanding” year for the company. 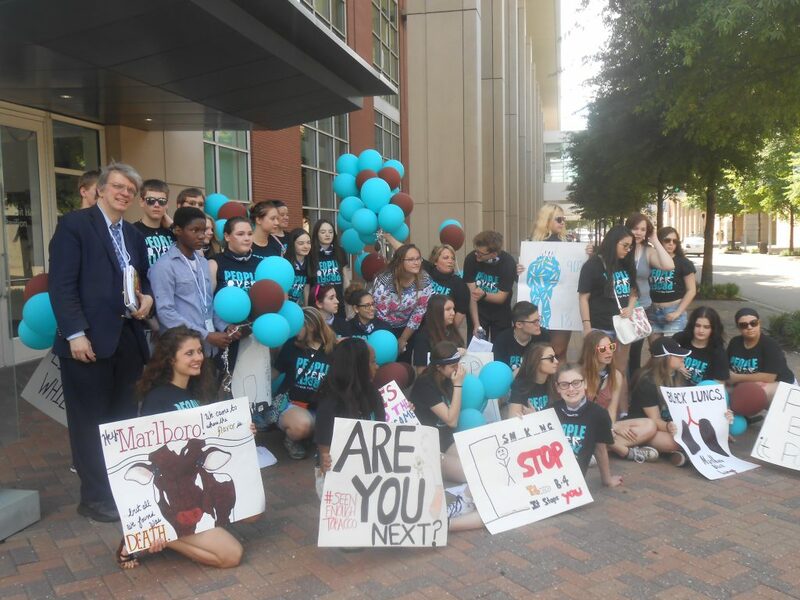 It was that Altria’s management is afraid of opinions that differ from their own, especially when those opinions are espoused by young people who have the courage to speak truth to power – up close and personal. BOSTON – Two non-profits that use litigation as a public health strategy have joined forces in a lawsuit accusing the Coca-Cola Company (“Coke”) along with the American Beverage Association (“ABA”) of misleading the public about the science that links heart disease, obesity, and diabetes to consumption of sugary beverages. For years, the Public Health Advocacy Institute at Northeastern University School of Law in Boston and the Center for Science in the Public Interest in Washington, DC relied on civil litigation as a tool to achieve policy change to benefit public health. The lawsuit was filed today in federal court in the Northern District of California on behalf of a California non-profit, the Praxis Project, which has had to devote resources to correcting the misleading messages that Coke and the ABA have disseminated. These include spreading the notion that the main cause of obesity is lack of exercise or that “a calorie is a calorie,” regardless of whether it comes from Coke or from kale. The science, in fact, shows that sugary drinks such as Coca-Cola have been found to play a real role in the obesity crisis and that calorie intake is more significant than calorie expenditure in terms of the problems of obesity and overweight. The lawsuit also accuses Coke of failing to comply with its pledge to not market to children. The action alleges violations of California’s Business and Professional Code as well as negligent and intentional breaches of a special duty to protect the consuming public. The plaintiffs seek a court order to enjoin Coke and ABA from denying the link between sugary drinks and obesity, diabetes, and cardiovascular disease and to stop any marketing to children. They also seek a court order for defendants to disclose and publish all research they have directly or indirectly conducted on the impact of sugary beverages on health and the impact of exercise on obesity vs sugary drink consumption. Furthermore, the plaintiff asks the court to order the defendants to fund a corrective public education campaign and place prominent warnings on their internet sites that consumption of sugary beverages can lead to obesity, diabetes, and cardiovascular disease. The attorneys for the plaintiff include Maia C. Kats, litigation director of the nonprofit Center for Science in the Public Interest; Andrew Rainer, litigation director of the nonprofit Public Health Advocacy Institute; and Michael R. Reese of the law firm Reese LLP. PHAI’s partner, the Center for Science in the Public Interest included the following bullet points from the complaint in its press release. “There is no unique link between soda consumption and obesity,” claims a post on the ABA’s website. “Simply put, it is wrong to say beverages cause disease,” the ABA stated in another release. Coke’s incoming CEO, James Quincey, equated sugar-sweetened beverages to any other calories, dismissing their unique contribution to the obesity epidemic by asserting such beverages contribute only two percent of calories overall. The Public Health Advocacy Institute set up its Center for Public Health Litigation in 2014 in order to hold responsible corporate interests that harm public health and defend policies that protect public health. On May 23, 2016, the widow and children of baseball great Tony Gwynn filed a wrongful death lawsuit against Altria Group alleging that the manufacturers of Skoal smokeless tobacco’s negligence, fraud, defective design, and failure-to-warn caused the death of the Hall of Famer in 2014. 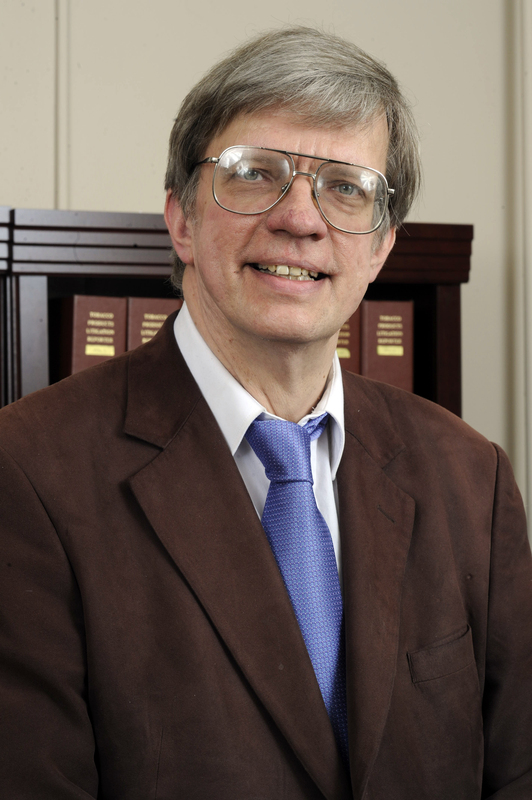 Richard Daynard, PHAI’s president and University Distinguished Professor of Law at Northeastern University, discussed the case in the New York Times and also on ESPN along with Neil Romano of the National Spit Tobacco Education project. in 2015 when it purchased Lorillard Tobacco Company – emphasized the short-term, pleasurable qualities of the deadliest consumer product while ignoring the long-term consequences of using that product. Ms. Cameron listed the examples of “good news” from 2015: shareholder return of 49%; an increase of 7.5% in dividends; a 2 for 1 stock split. Integration with the Newport brand has “done well,” she said. Vuse, RAI’s leading brand of “digital vapor cigarettes”, was the most successful new product in convenience stores. “On March 17, the Florida Supreme Court ruled in the Soffer case that the widow of a smoker who died of lung cancer can seek punitive damages against RJR on strict liability and negligence claims. “On March 24, the Florida Supreme Court in the Ciccone case ruled that a smoker did not need an official diagnosis before the cutoff date for membership in the original Engle class. 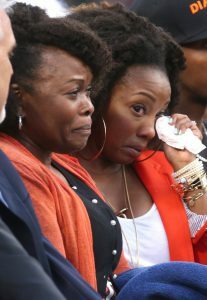 “On April 21 and 22, a Florida jury returned verdicts in the Turner case totaling $13 million for the children of a heavy smoker who died of lung cancer, finding that RJR hid the dangers of cigarettes from her until she was hopelessly addicted. “And just last week, on April 25, the Connecticut Supreme Court in the Izzarelli case ruled that the “good tobacco” language of the Restatement 2nd of Torts does not shield tobacco companies from product liability lawsuits. (see news coverage) This is similar to a ruling in Massachusetts. l litigation strategy, that has been used for many years, rather than a string of setbacks that had occurred since mid-March. He also mentioned that there had been some recent defense verdicts during that time span and, as to the Izzarelli case, he noted that RJR still had other legal grounds for its appeal of the jury’s $28 million verdict. On that case, Mr. Holton congratulated me on the ruling by the Connecticut Supreme Court and noted that I had submitted an amicus curiae brief for the Public Health Advocacy Institute (PHAI) on behalf of Ms. Izzarelli. During the question & answer session, several speakers raised the issue of working conditions for farm workers. Hillary Laslo, a FLOC member from Toledo, OH, spoke of abusive conditions on the farm and the fear of retaliation. Julie Taylor, the ex-Director of the National Farm Worker Ministry, visited farm labor camps and saw “terrible housing” conditions. A 20-year-old FLOC member described many problems working in the fields, including not getting necessary breaks while working in the fields, especially on brutally hot days. Fred Romero, a 14-year-old high school freshman who had worked in the fields for the last 2 to 3 years, described how he had gotten ripped off, being paid even less than the $7.25 per hour minimum wage. He noted how his mother struggles hard to pay the family’s bills; he asked Mr. Wajnert whether RAI will sign an agreement to get a livable wage paid for those who work on farms that provide the tobacco for RAI. Mr. Wajnert answered that the company would not do so. After the meeting concluded at 10:20 A.M., more than 100 FLOC supported demonstrated in the rain against RAI for its refusal to do more to improve working conditions for farm workers and to end child labor in tobacco fields. Just a week after the meeting, RAI suffered yet another courtroom loss when a Florida jury in the Dion case returned a $12 million verdict to the widower of a woman who died of lung cancer after smoking for decades. Florida jury awards $13 million to children of a smoker who died from lung disease after smoking for decades. Posted in Center for Public Health Litigation, Tobacco Litigation | Comments Off on Florida jury awards $13 million to children of a smoker who died from lung disease after smoking for decades. Visit Social Law for the complete story.